After becoming a multi-party democracy in 1992, Ghana recently organised and held its 7th national presidential election. It was won by the opposition leader Nana Akufo-Addo, from the New Patriotic Party, who campaigned on the promise of free education and more factories. Voter turnout was recorded as 68.62% by the Ghana Electoral Commission. Mr Akufo-Addo received 53.85% of the vote while the former President, Mr John Mahama from the National Democratic Congress party, who was campaigning for a second and final term, received 44.40% of the total vote. Mr Mahama has acknowledged the election results and has conceded defeat peacefully. 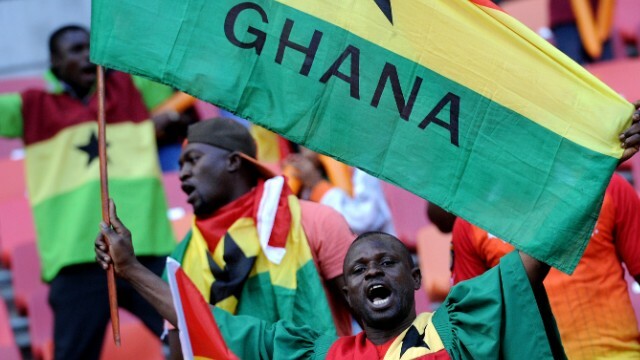 Ghana is considered a beacon of democracy in the west African region and on the continent in general. This election result, and the peaceful transfer of power, are seen as strengthening democracy in the country. In the previous election in 2012, Mr Akufo-Addo, competed and lost by less than 300,000 votes. Ghana’s GDP is highly dependent on its export of oil, gold and cocoa but has suffered as a result of the global drop in oil prices. Government revenues reduced, while inflation has increased, forcing the government to accept a $918 million bailout from the International Monetary Fund. Mr Akufo-Addo and his party used the current situation as the basis of their election campaign accusing the President and his party of economic mismanagement and incompetence. With Ghana, leading the way and setting an example to other west African, the situation developing in The Gambia should be viewed with concern. After initially conceding defeat in the recent presidential election held on …. December 2016, President Yahya Jammeh, who has ruled the country with an iron fist has reversed his decision, and called for a fresh election. Jammeh, who has previously claimed that he had “a billion year” mandate to rule The Gambia, had even called the opposition leader Adama Barrow to accept defeat and handover power saying “congratulations. I am the outgoing president; you’re the incoming president.” However, despite only winning 36.7% of the vote compared to Barrow’s 45.5%, he has now decided to contest the results. Barrow, a former security guard and retail store worker in London and who has little political experience, had been set to take over in January 2017 following a transition period. Now there is great doubt about whether or not this will happen as Jammeh is likely to do all he can to ensure this does not happen so that he extend his autocratic reign. His about turn came after the chair of the country’s new ruling coalition had said that Jammeh would be prosecuted for his crimes within a year of handing over power.